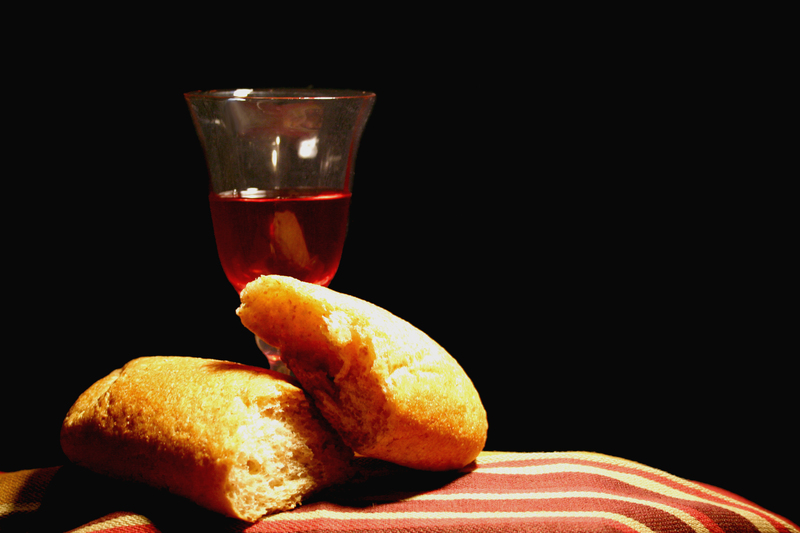 There are moments during communion when I’m overcome with the enormity of the Christian faith. Followers of Jesus span back through centuries and circle around the world. We have been practicing this sacrament for the history of our faith, and it will continue for years to come. Sitting in the time between worship and communion yesterday, I thought of the many other churches around our country gathered for worship at that time. In particular, I thought of the few pastors who have abused their authority, people in their congregations, and sometimes even people beyond their congregations. There are pastors and teachers who have helped cover up child abuse scandals in some congregations. There are pastors and leaders who have threatened fellow Christians with lawsuits. There are pastors and leaders who throw around heavy words of condemnation at those who disagree with them. It was all too much to bear. I wanted to take scissors to Jesus’ prayer in John 17. United with them? The only thing I’d like to unite with them is my fist—this from a guy who hasn’t thrown a punch since the age of 13. How did these divisions happen? Where did we go so far off track? While a divided church is as old as Paul’s letter to the Corinthians, the divisions among us felt particularly acute even as I prepared to take communion. Searching for answers, I revisited the scars left by more conservative critics who have called the integrity of my faith into question because my God wasn’t as dominant and powerful as their own or because I saw culture, gray areas, and complexity in the pages of scripture where they only saw black and white. It is a deep hurt to have sought out answers with integrity, to arrive at different answers than your original tribe, and to then be cast out as a threat, false teacher, and enemy. That isn’t to say I was innocent and pure all along as my faith ventured into new territory. I was quite angry for a season. I felt like I’d been tricked—as if someone had set up a curtain to hide the true nature of things. I don’t think you can stop the anger and resentment from taking hold when your long-held beliefs crumble. At least I don’t know how I could have stopped it, and as I see other Christians pulling back the curtain of their conservative faith, I don’t have anything better to offer them. Our personal histories lead us in different directions. Sometimes there is grace for these differences. Sometimes there are divisions over the abuse of power that cannot be overlooked. Both my past hurts and the folly of abusive leaders today left me despairing as I prepared to partake in one bread and one cup on Sunday morning. Perhaps I despair so easily because I fail to grasp the lesson of communion each Sunday. I’ve been too focused on myself. I approach communion completely absorbed in my own spiritual health, fearful that I will take the body of Christ in an unworthy manner. I want to have a clean slate between myself and God. Communion has been about healing my own soul. Even our divided churches could teach us about the dangers of seeking our own salvation at the expense of everyone around us. There is a tendency to pursue salvation by remaining pure, cutting ourselves off from others. Isn’t this act of taking the body of Christ an act of unity, a mystical binding together of Christ’s body in this one simple act? Do I believe that Christ can not only heal me but also heal his church, even the parts I find reprehensible? What if my part right now is to keep receiving communion, to keep praying for a healed church that can minister to a hurting world? Some Sundays, like last Sunday, that feels like an enormous leap of faith. Communion reminds me that God endures even as denominations and leaders rise and fall. The Kingdom continues to advance, and Christ’s body still offers us healing, even if we aren’t looking for it. I can relate to so much of what you have shared here and I particularly liked the wisdom in this quote, “Our personal histories lead us in different directions. Sometimes there is grace for these differences. Sometimes there are divisions over the abuse of power that cannot be overlooked.” Thank you. Maybe the message of communion is that the sacrifice of Christ transcends the infinite variety of ways that sinful man can express his need for that sacrifice? Good word John! We cannot exhaust the sacrifice of Christ or the mercy of God. Today is my turn to help serve communion at our church – a fairly new volunteer job for me. The past 3 years I’ve spent attending our church and nothing else, as I was desperately in need of heart healing (and God did not disappoint ;-)). I had the same issue with communion – its all about me, anxiously looking for some unknown sin that would cancel out communion. But when I serve communion I’m nearly in tears: I see the eyes of hope, husband and wife having a moment with God, parents bringing their kids and pausing to instruct while I serve them, old folks who’ve been doing this for umpteen years, people who’s sin I’m aware of and I know they want this moment to get them one step beyond. Truly this is the meaning of “consider the Body …..”. I consider God’s work in every single one. Last night, as I served communion in one of the prisons, I just about lost it; overcome by the brokenness of all our lives and lifting our voices in thanksgiving and rememberence.